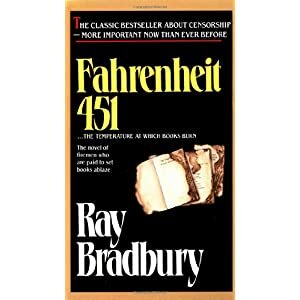 Fahrenheit 451 by Ray Bradbury is a classic novel where the world is rid of by books by burning. The masses are inundated constantly with media and entertainment, which crowds out thoughts of their own. Written in 1953, the commentary it expresses on our society is poignant.